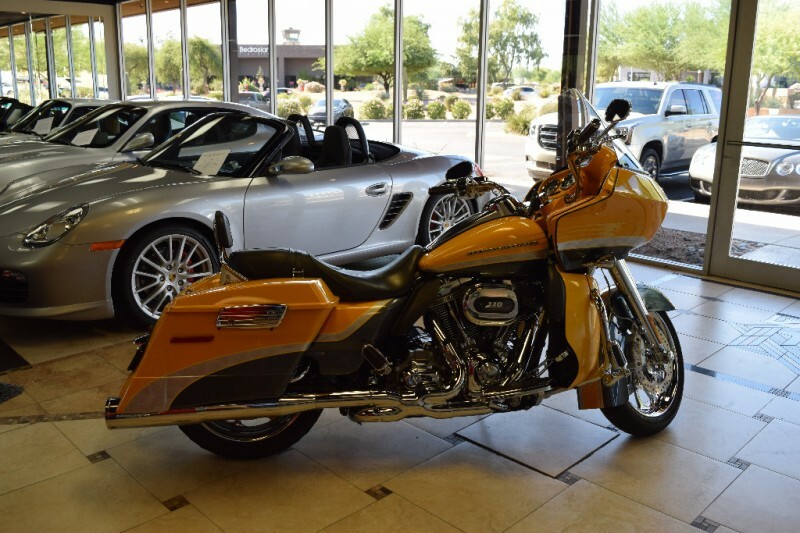 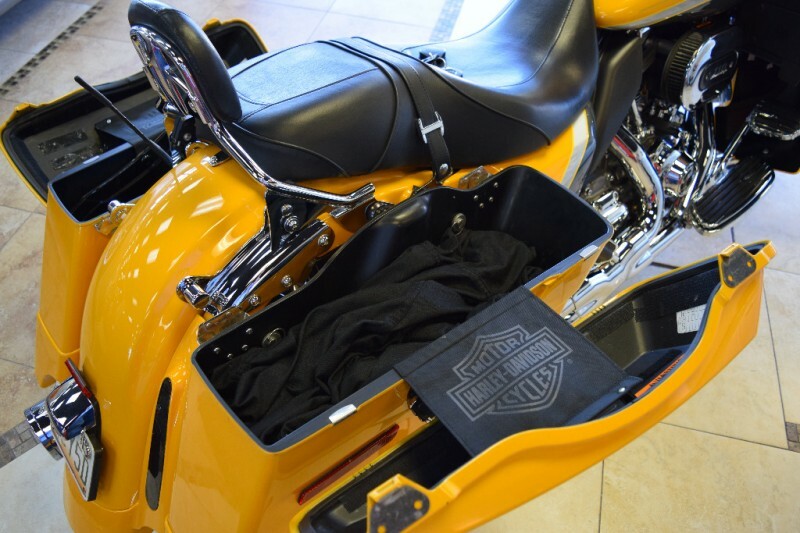 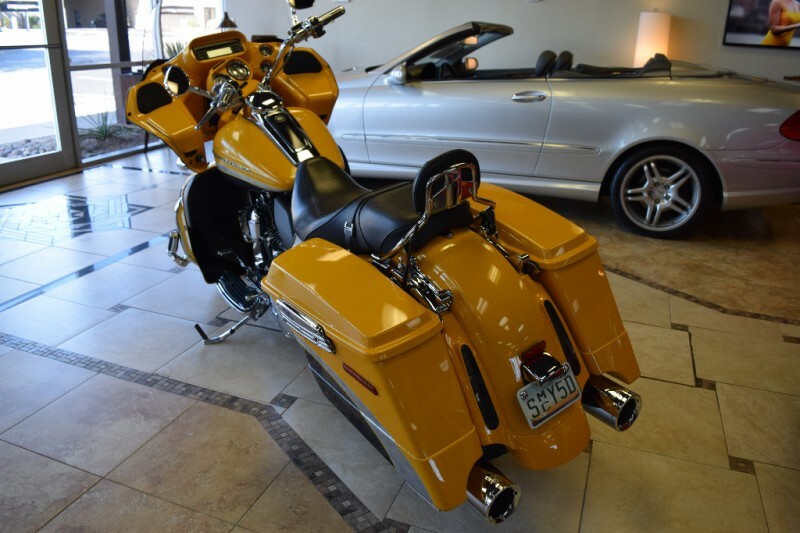 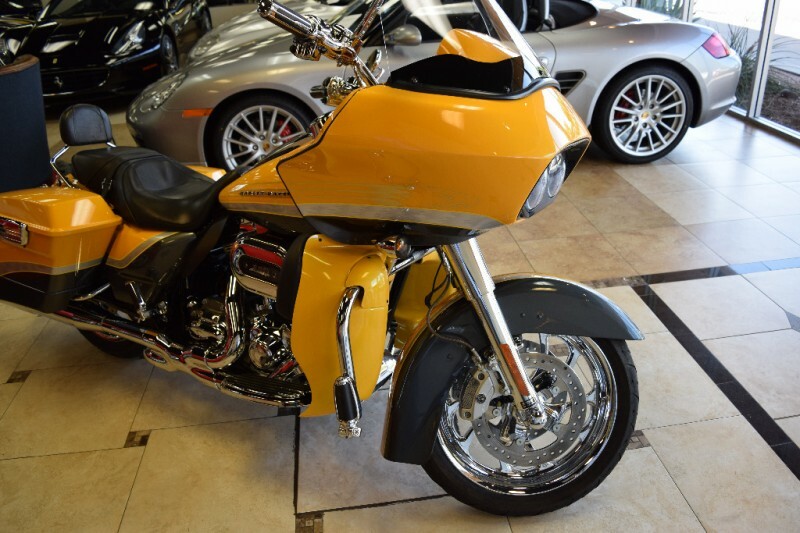 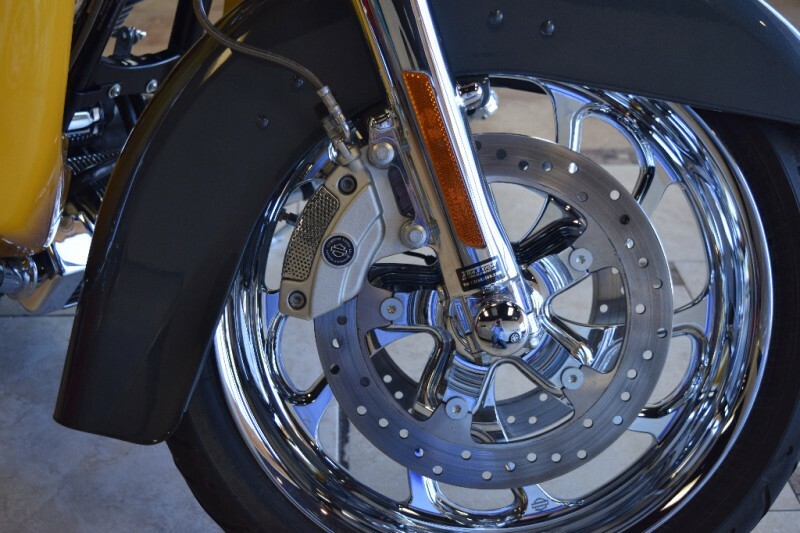 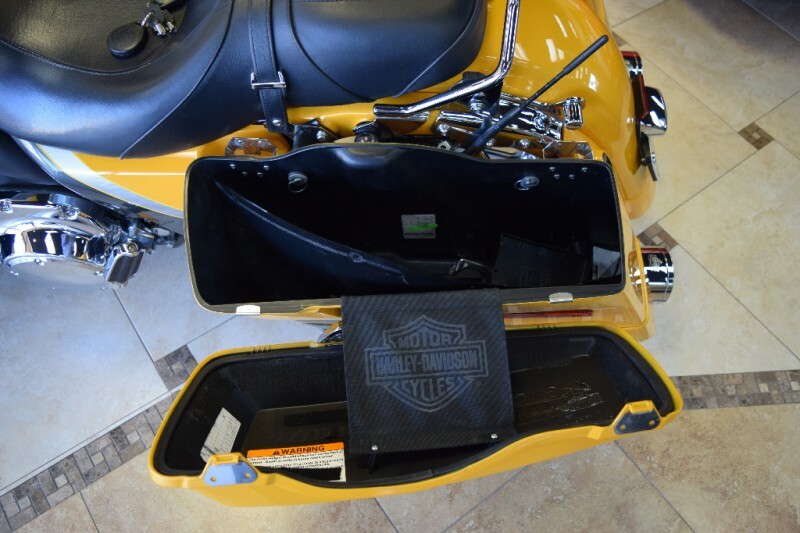 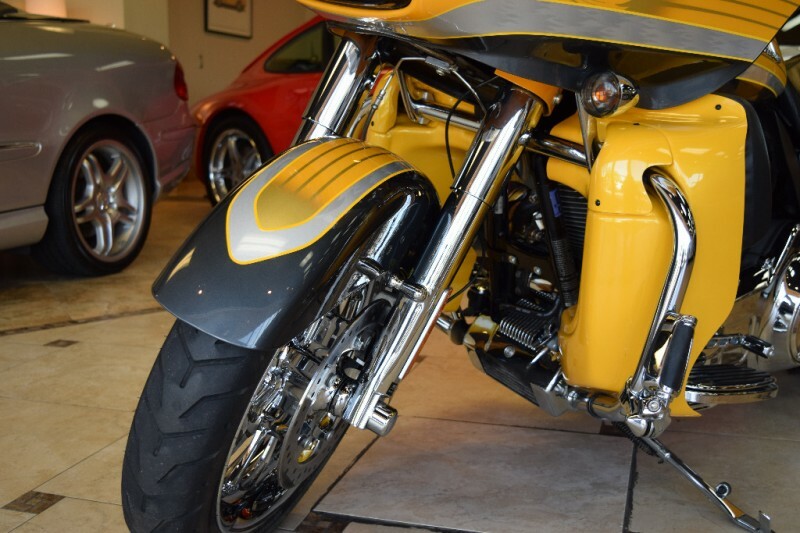 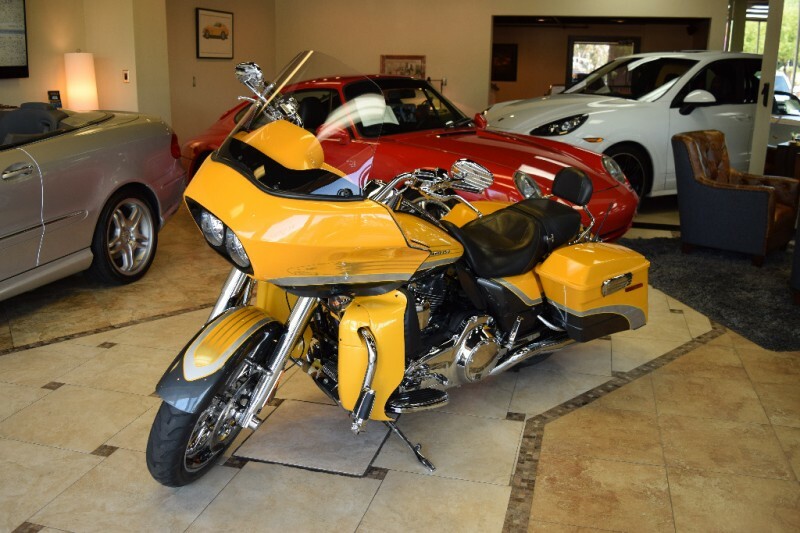 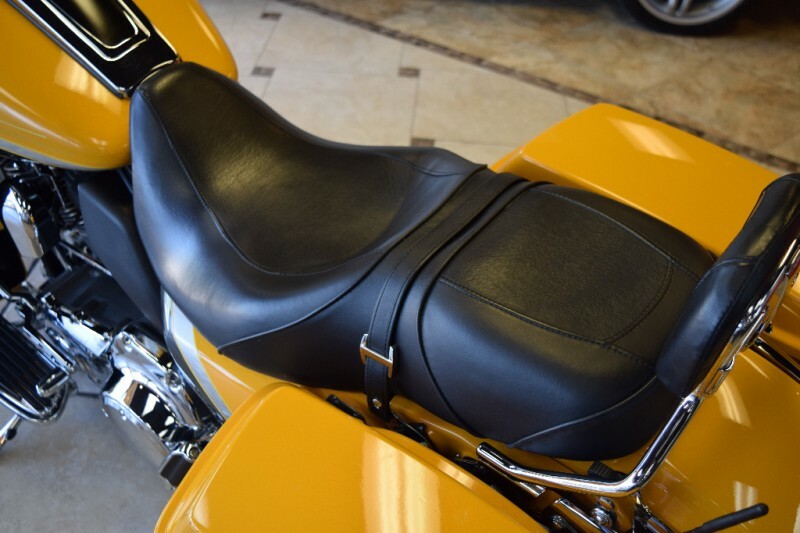 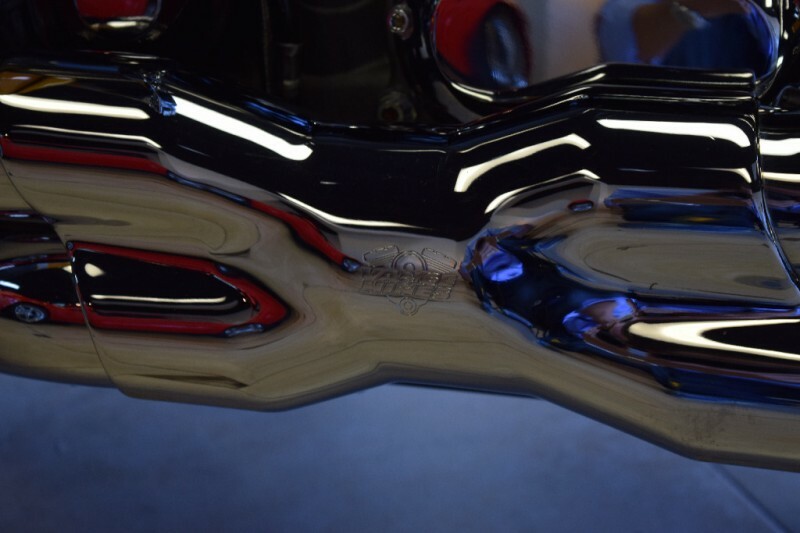 2009 Harley-Davidson FLTRSE3 CVO Road Glide, One Owner, babied this Harley with only 9,343 miles and all the gear ! 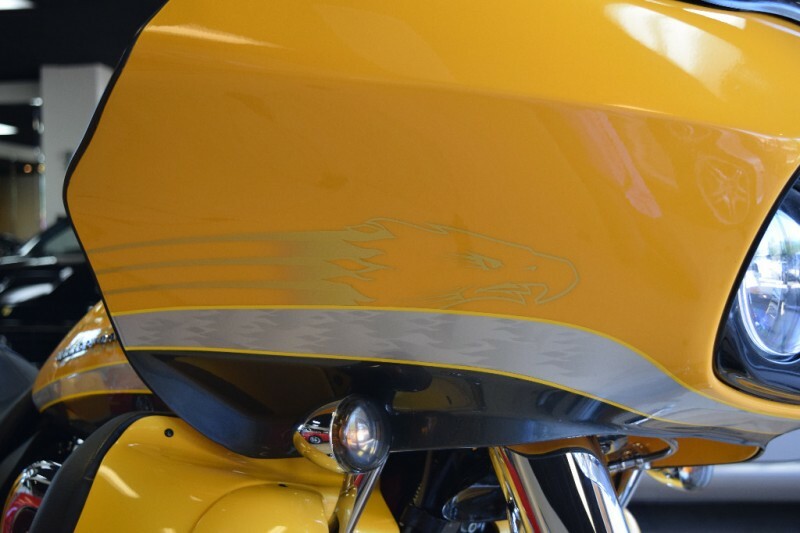 Yellow Pearl and Charcoal Slate with Ghost Feather Graphics. 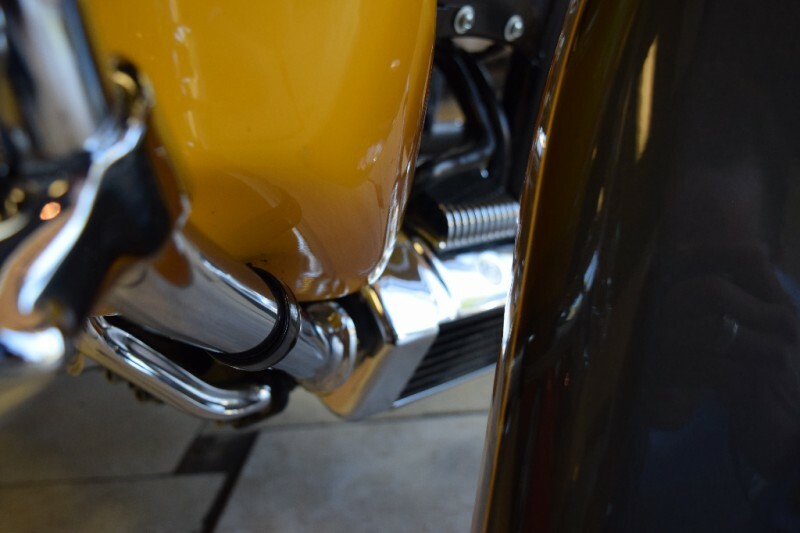 All stock except 3 minor upgrades ; Vance and Hines exhaust system, Upgraded front shocks to Traxtion dynamics and the rear shocks to Bitabo , front lower leg fairings are an add on as well. 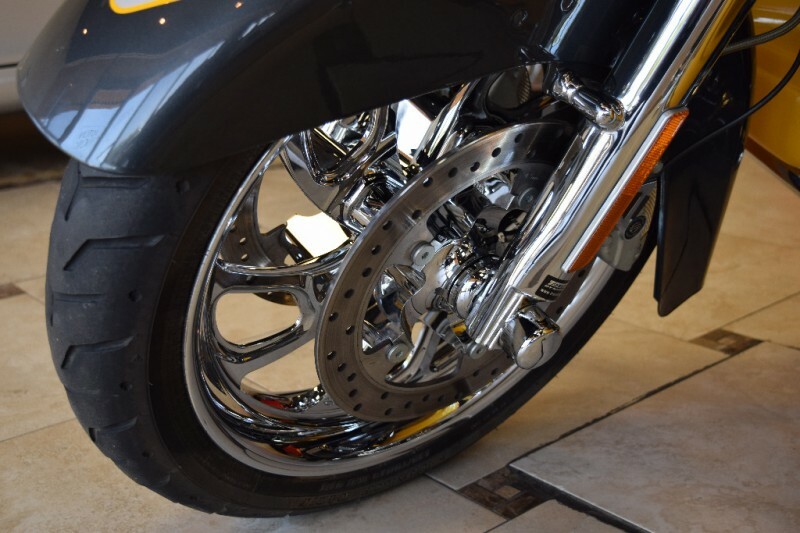 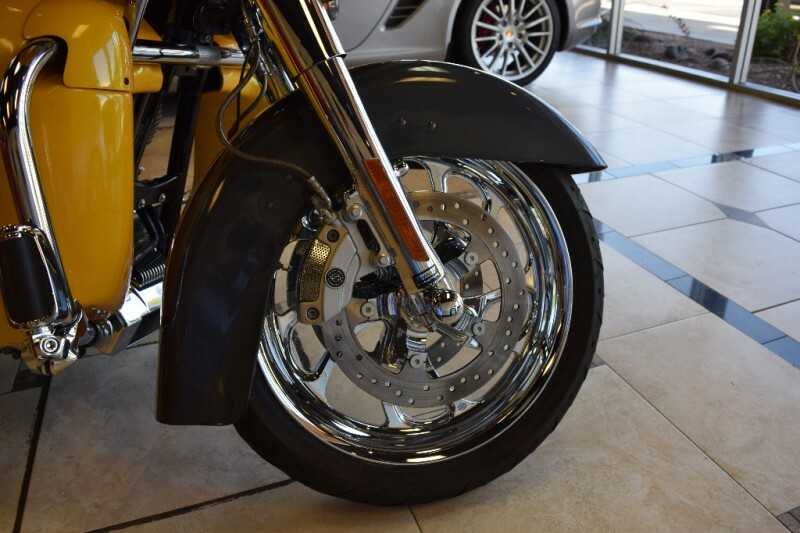 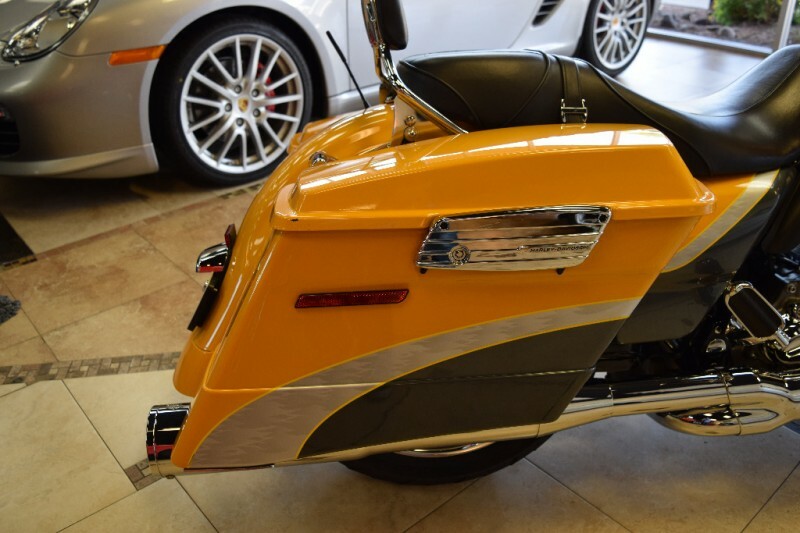 From its lowered front fender and skirted saddlebags to its vivid paint and massive powertrain, the CVO Road Glide is ready to romp down the highway or raise a ruckus on the boulevard ! 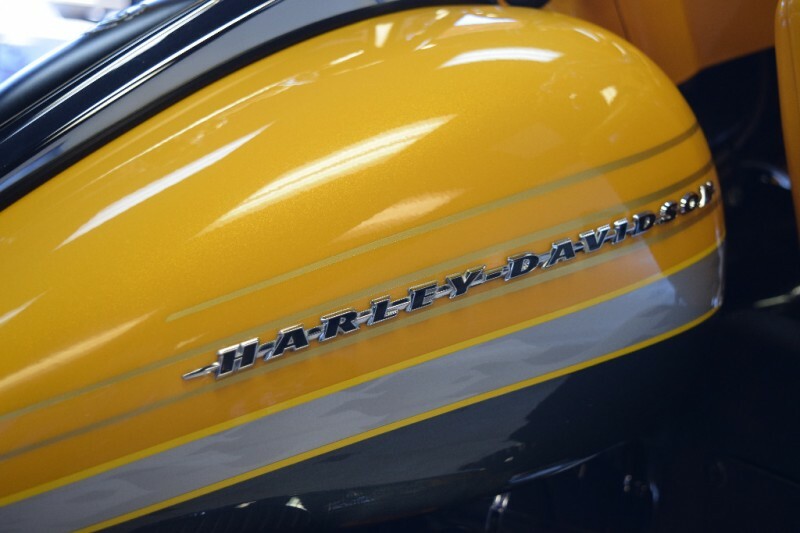 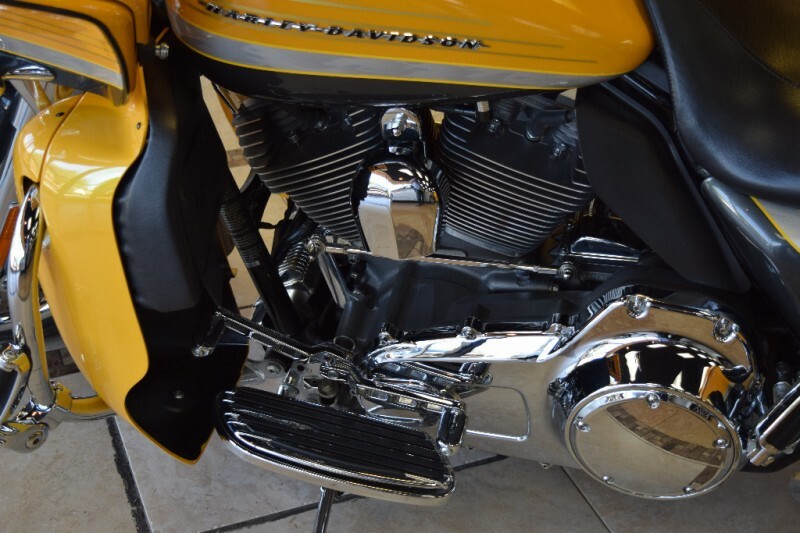 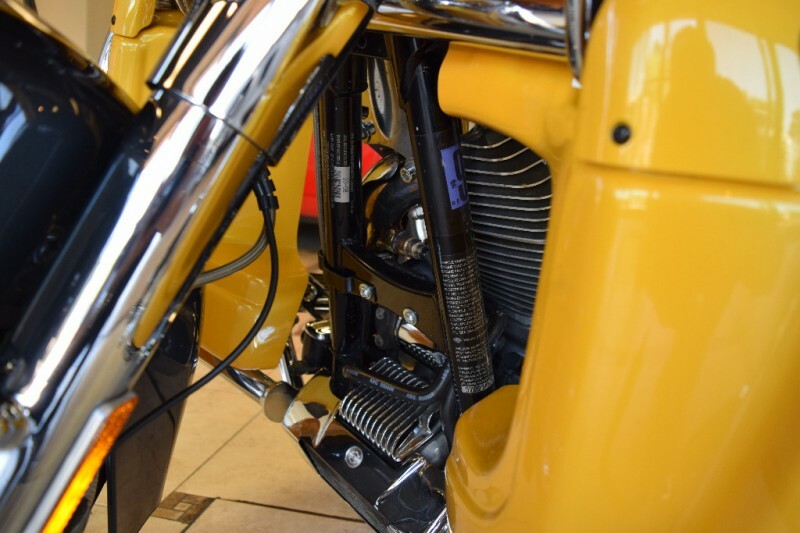 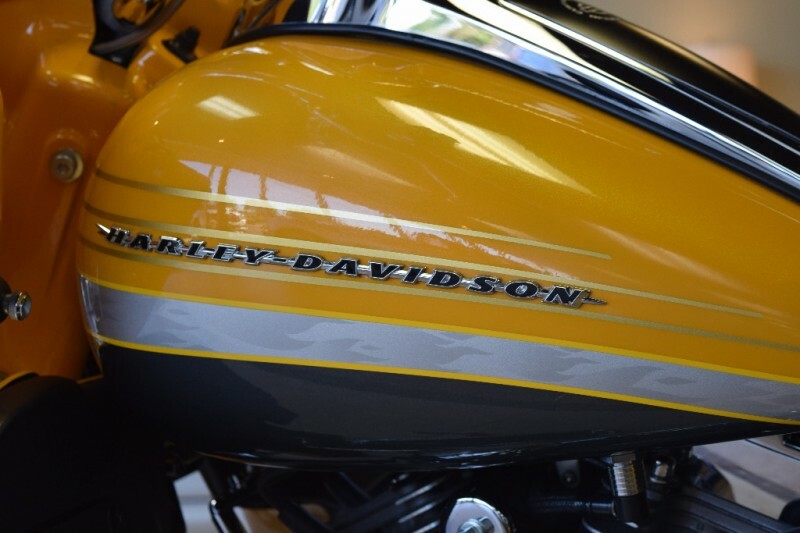 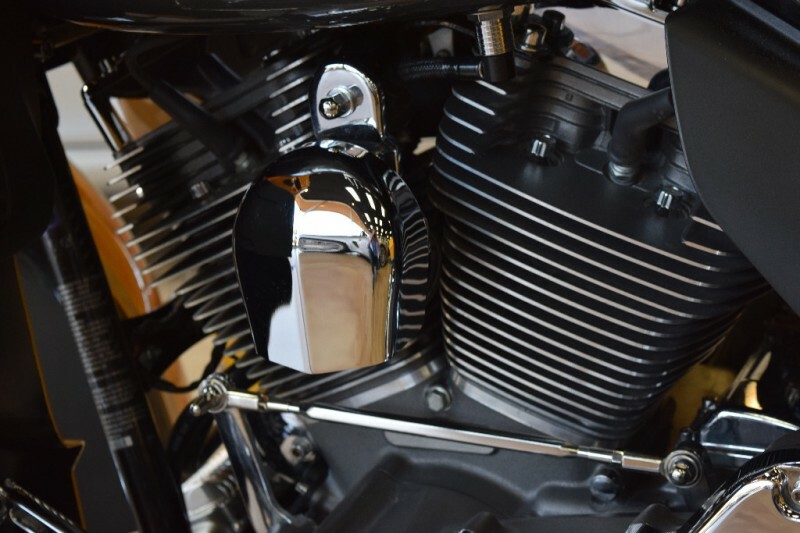 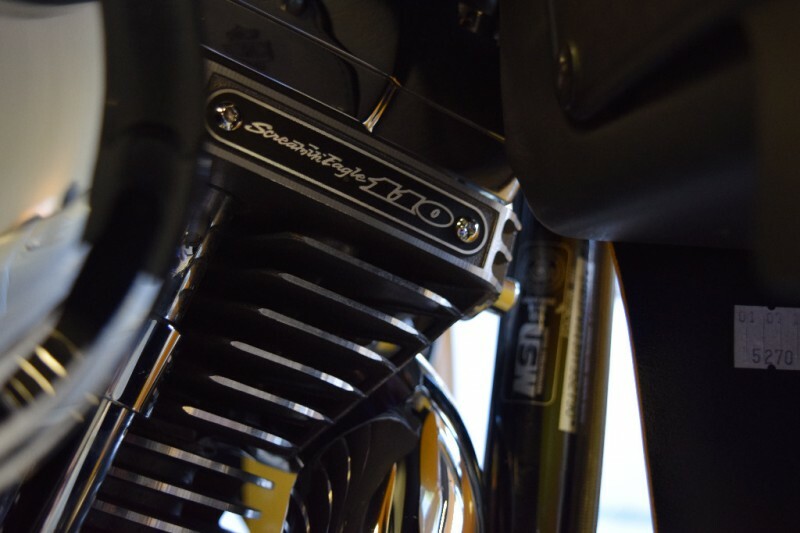 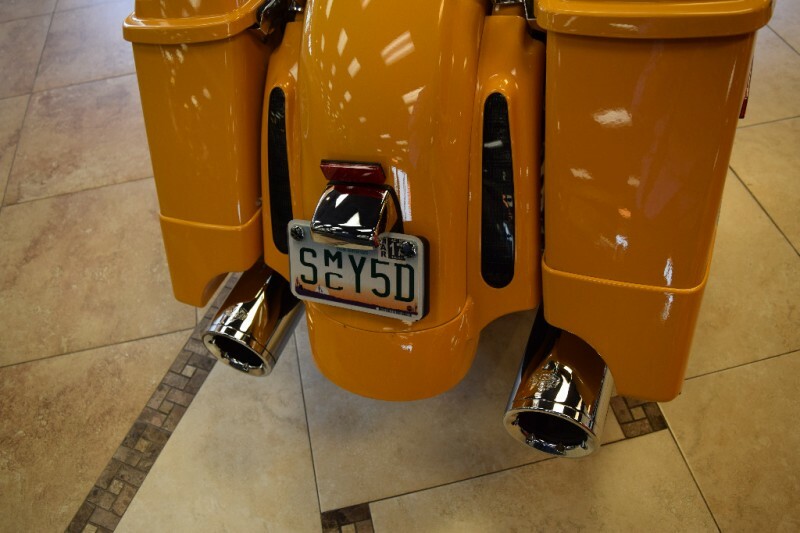 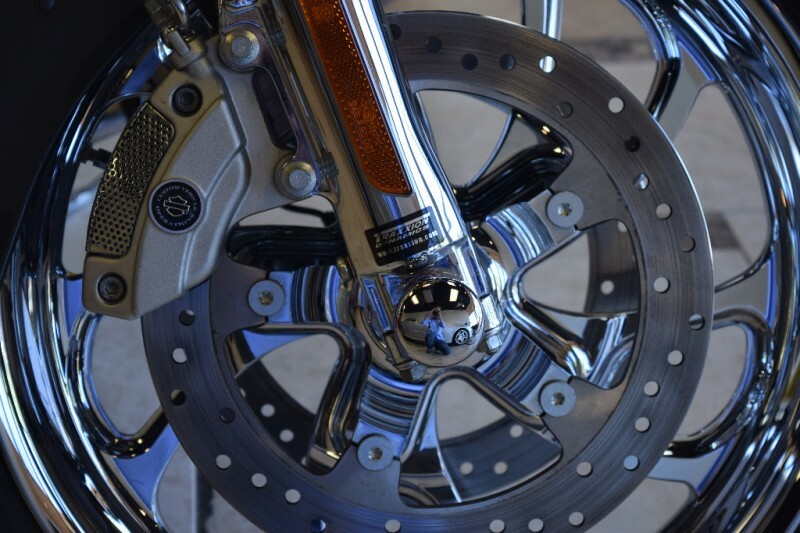 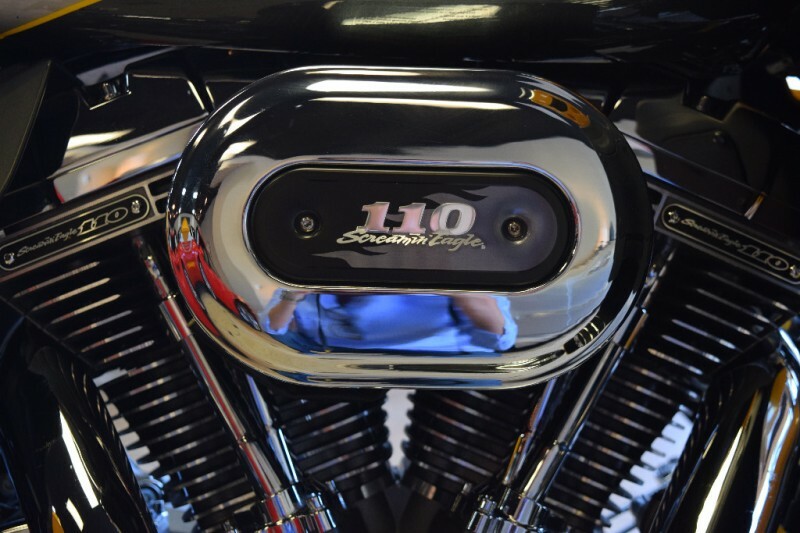 Unbridled power of the Screamin’ Eagle Twin Cam 110 engine, 110 cubic inches of pure American V-Twin muscle and the largest engine offered by Harley-Davidson. 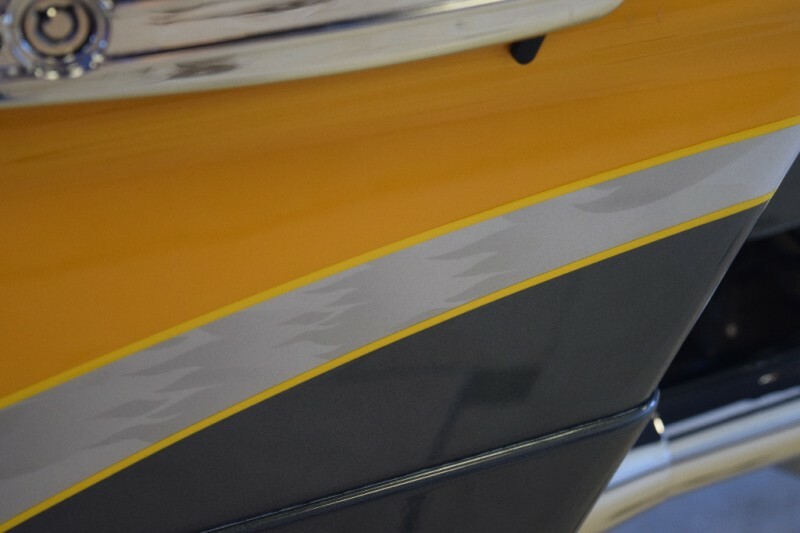 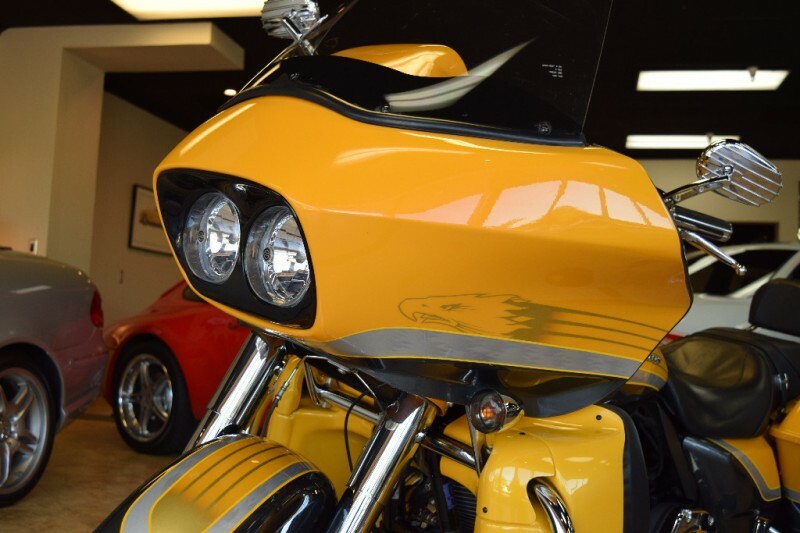 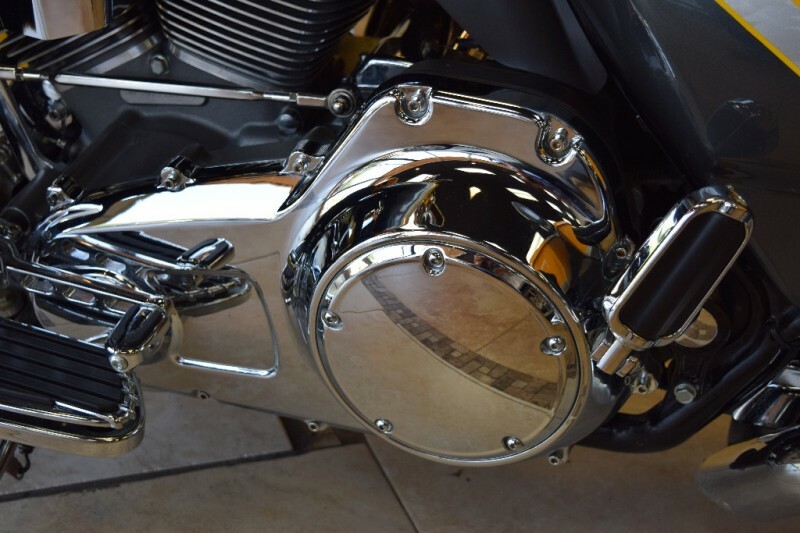 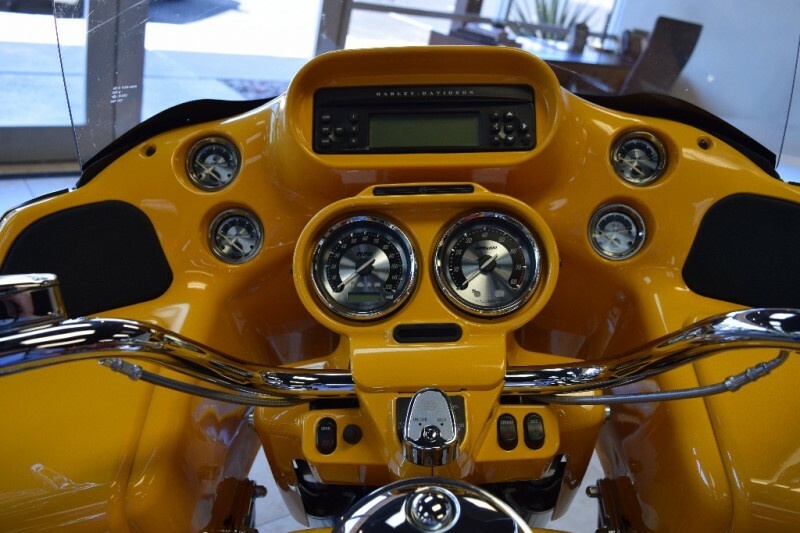 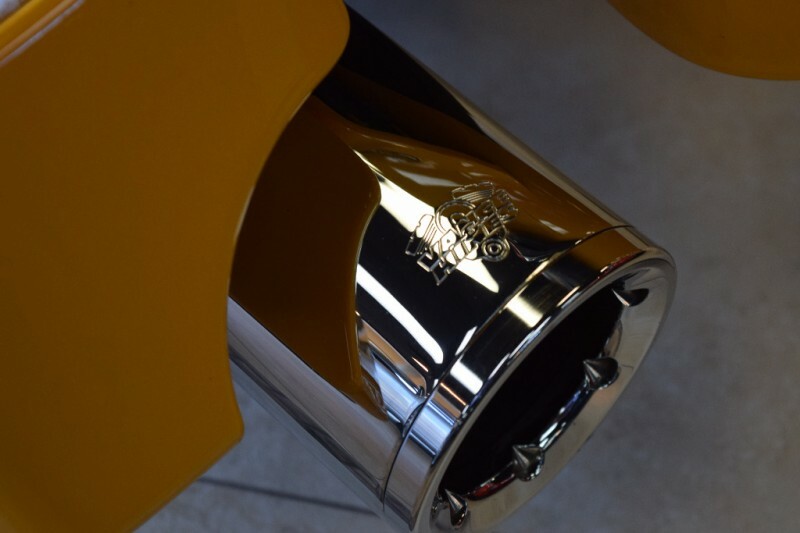 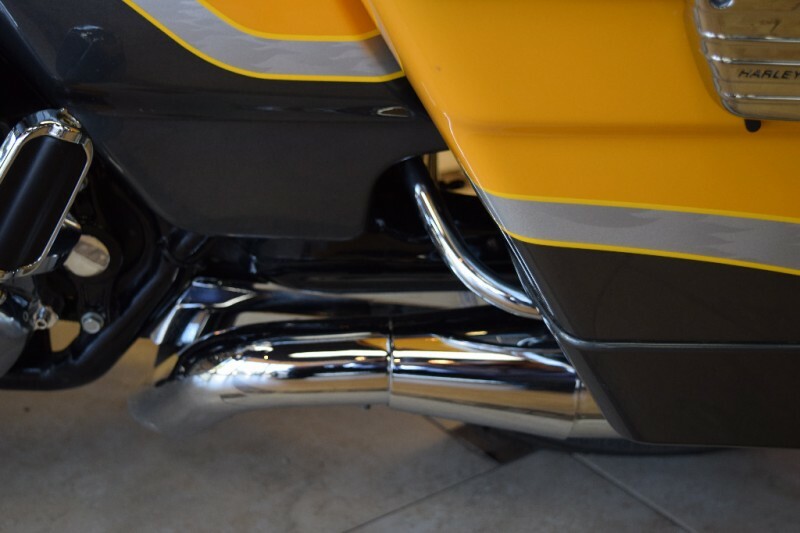 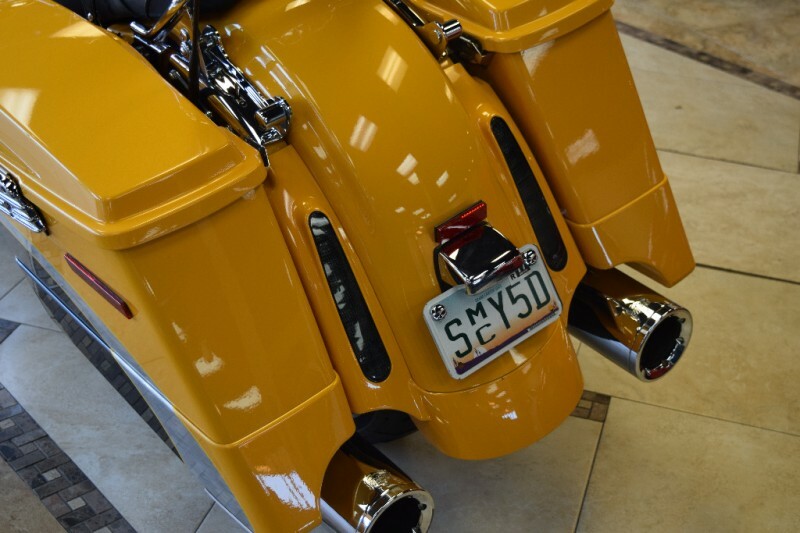 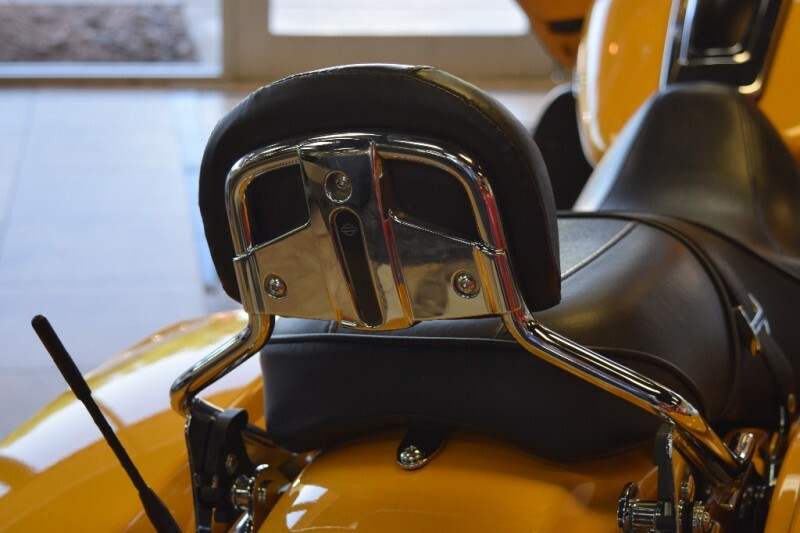 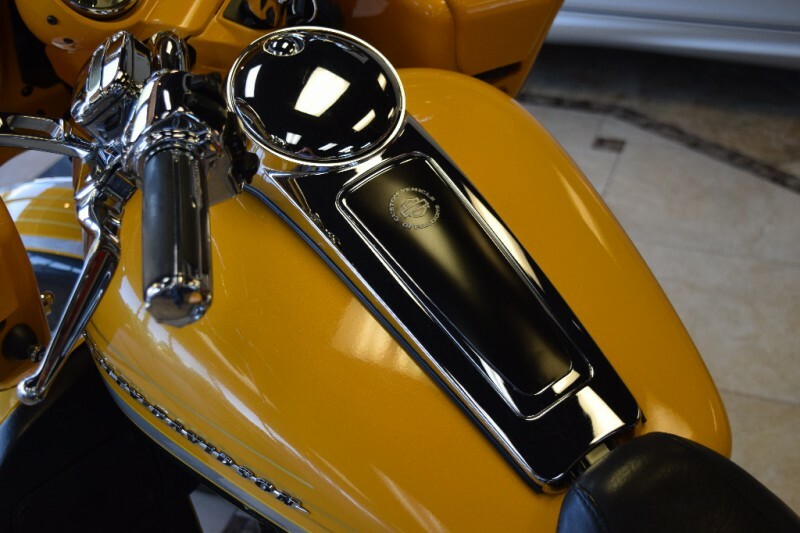 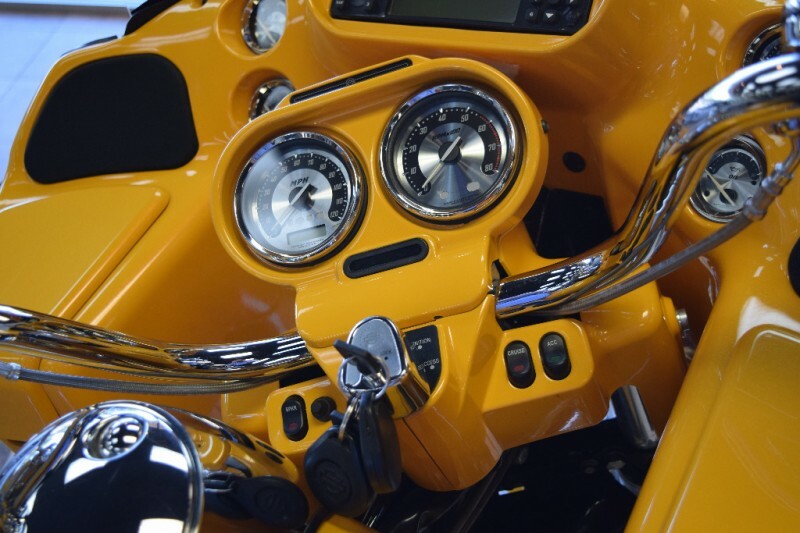 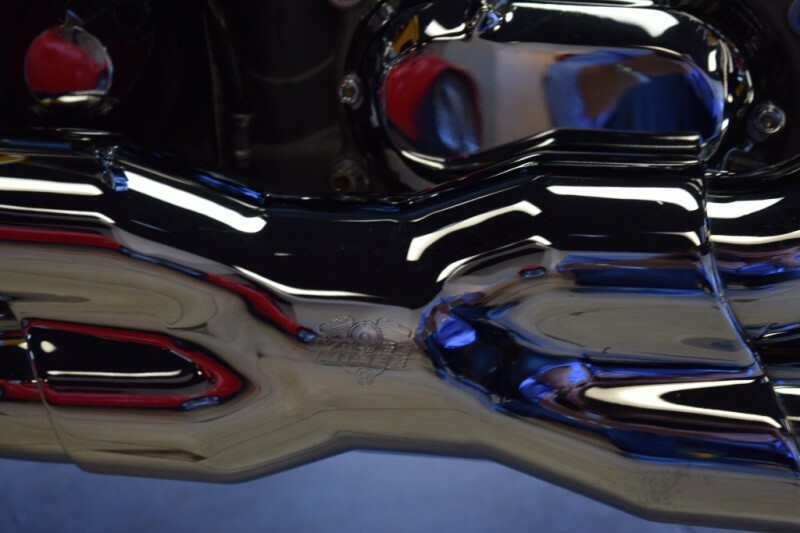 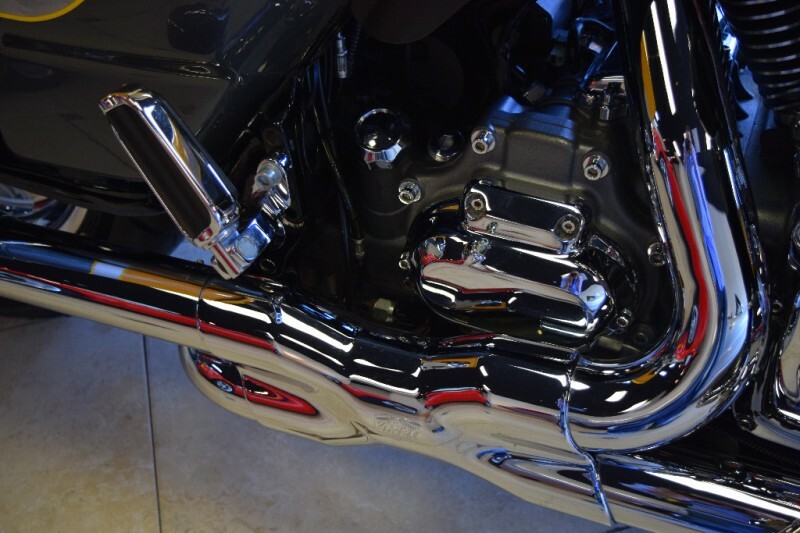 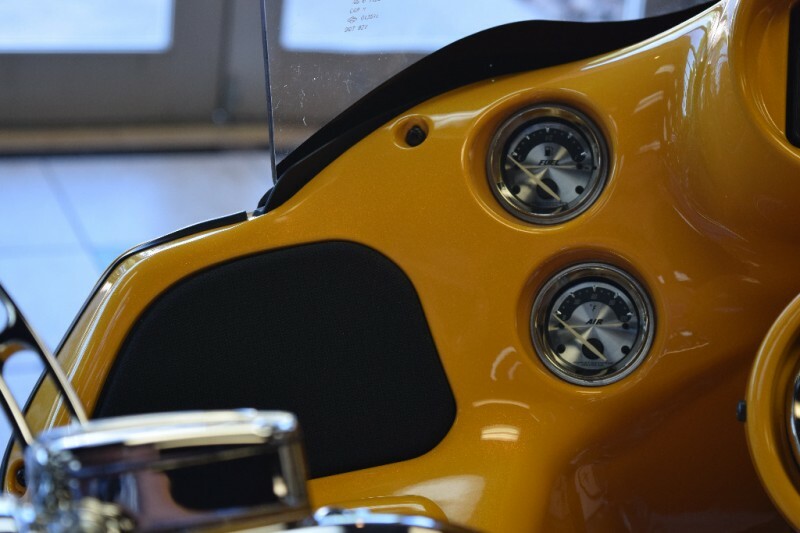 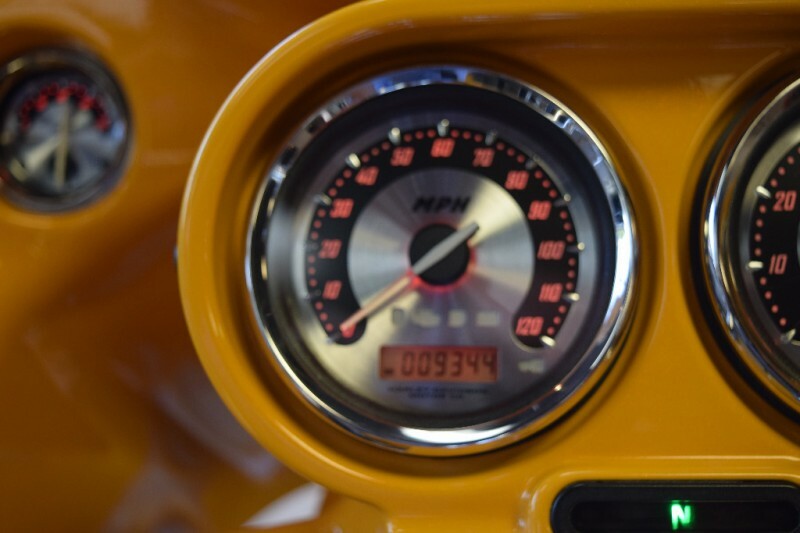 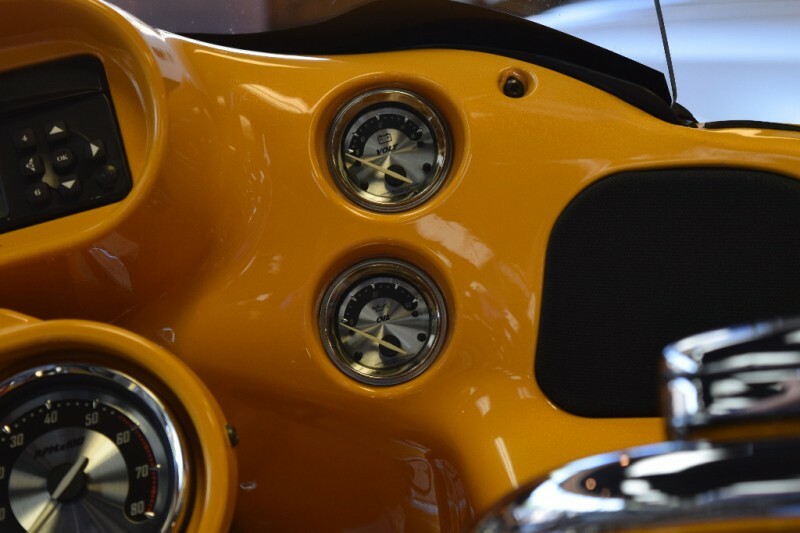 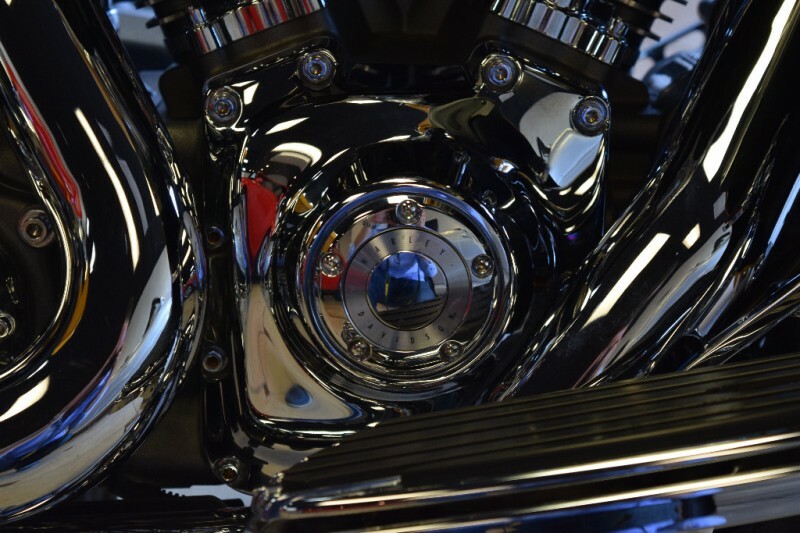 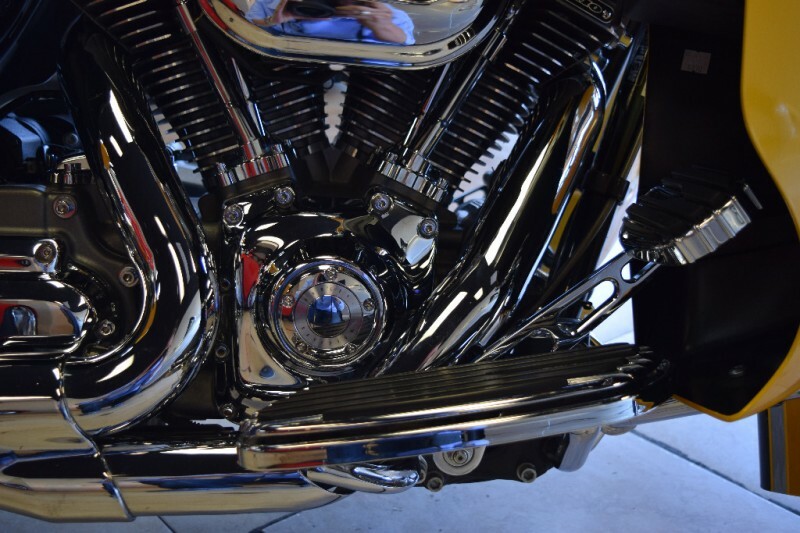 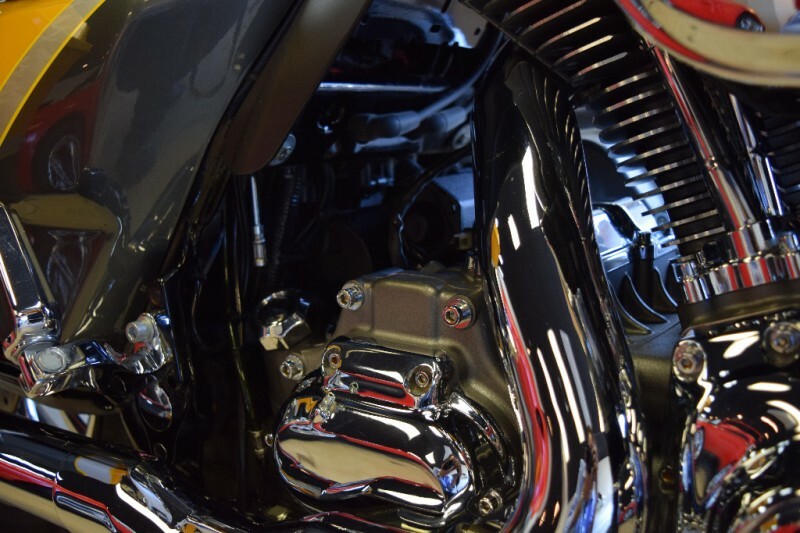 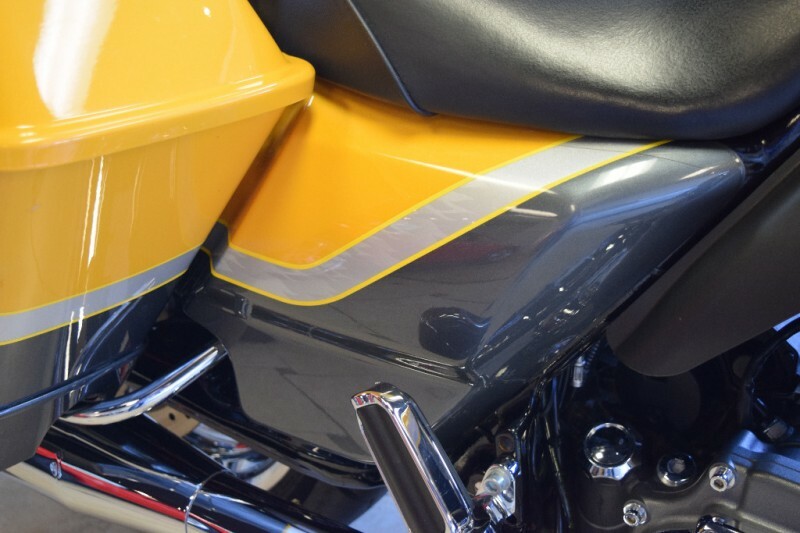 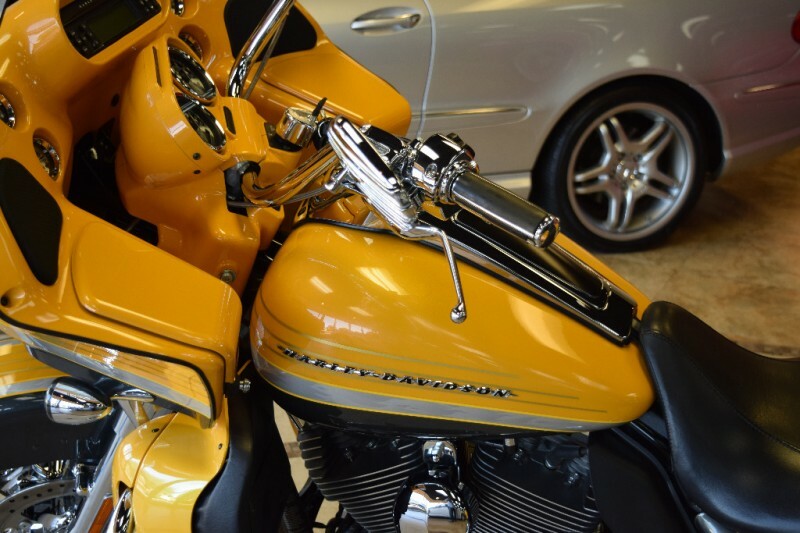 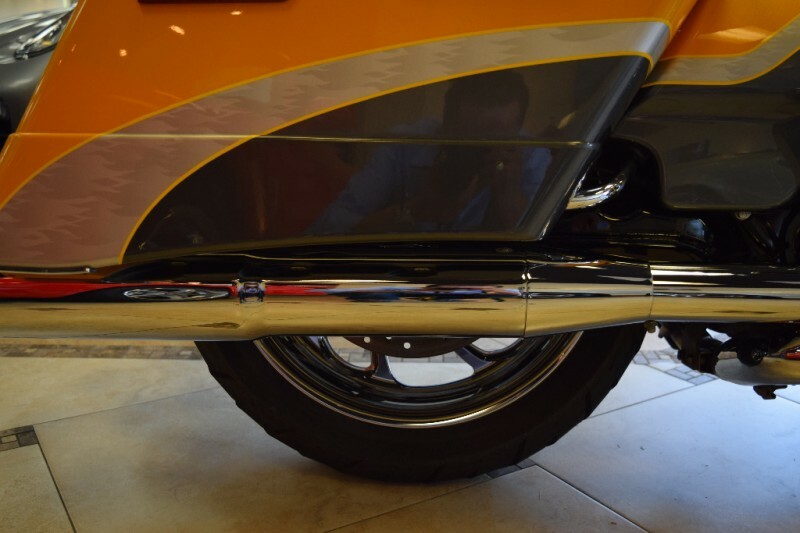 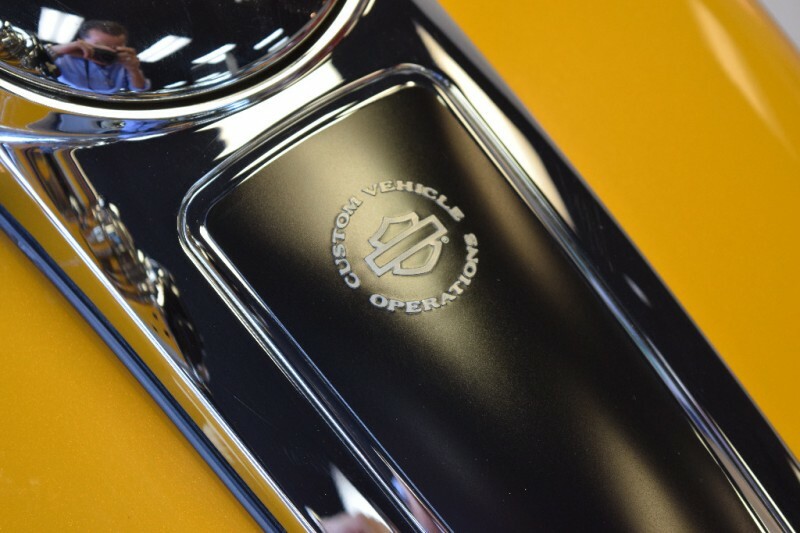 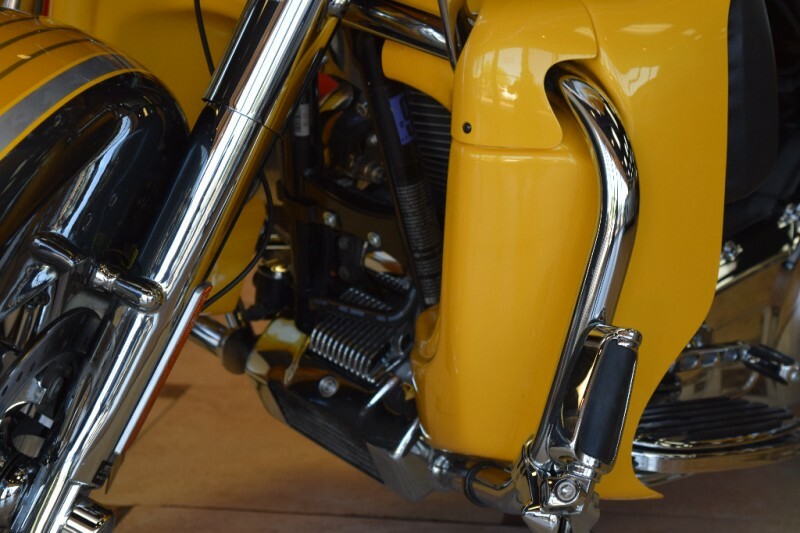 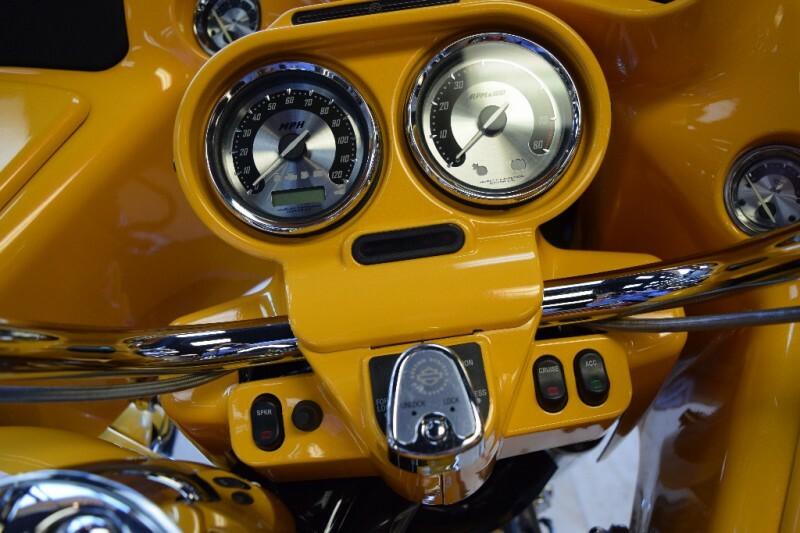 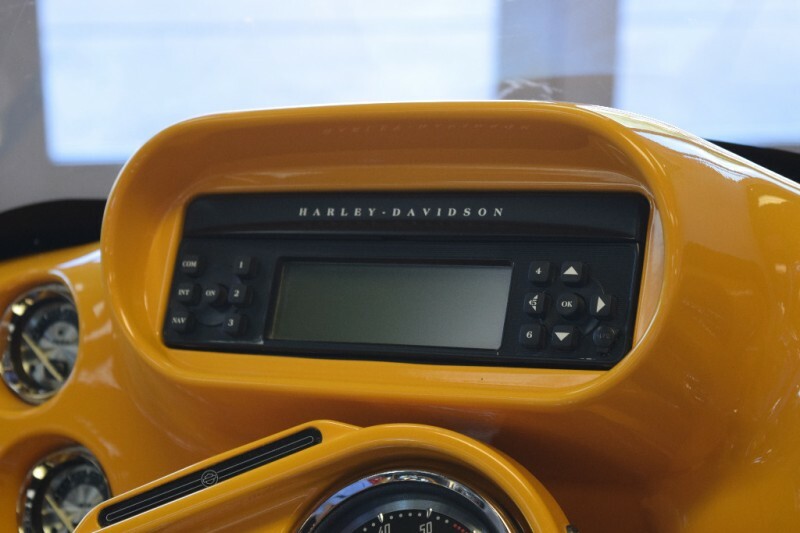 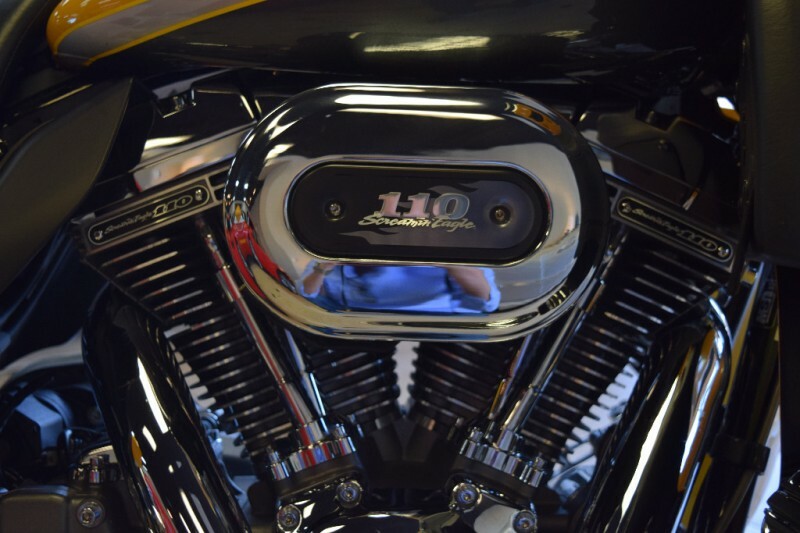 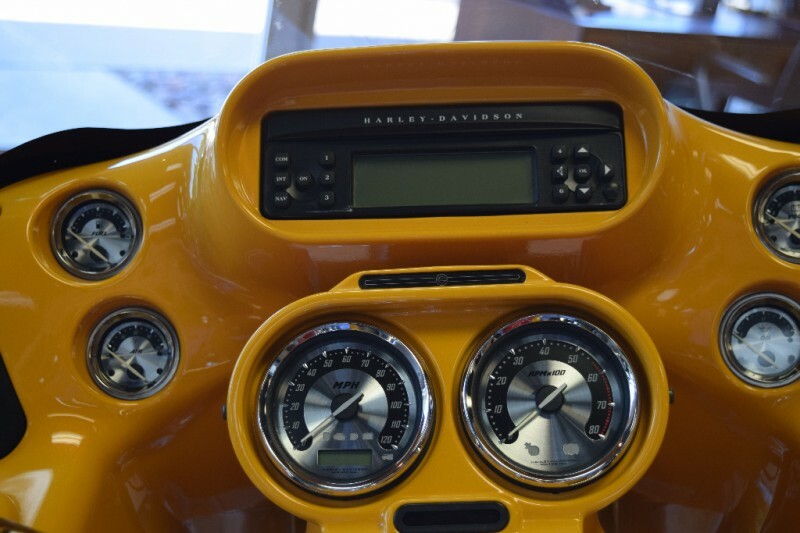 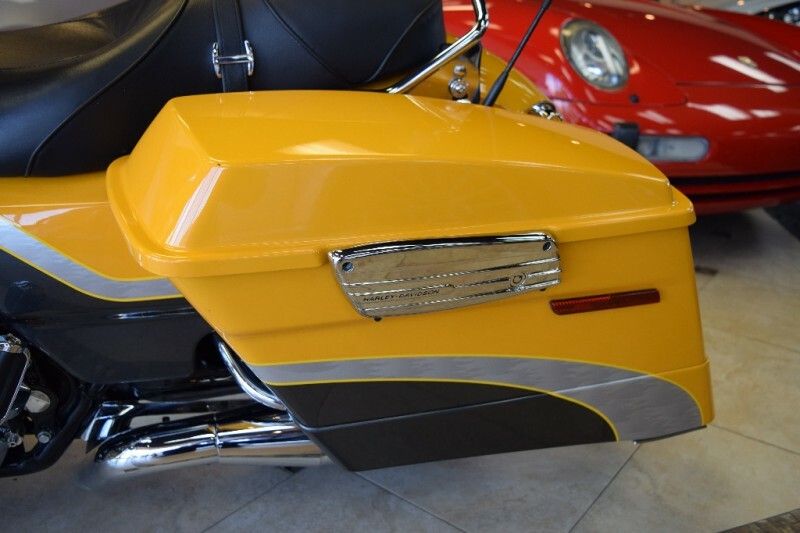 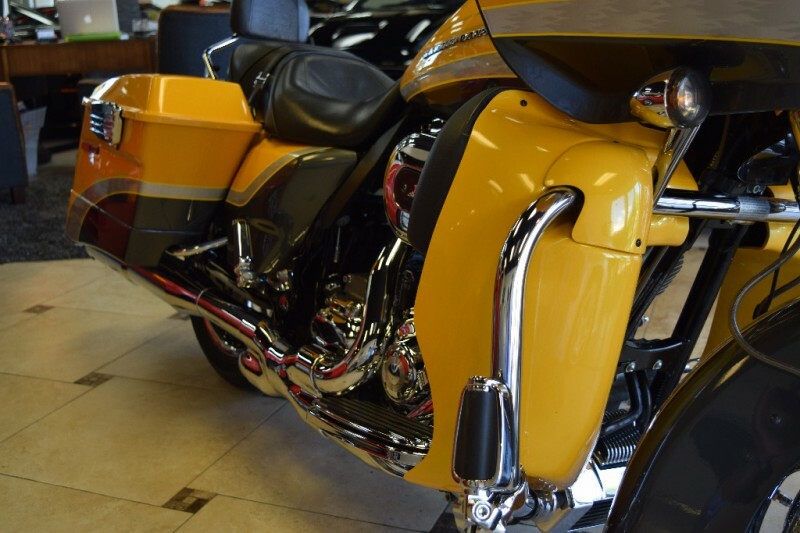 Available only on CVO models, the Electronic Sequential Port Fuel Injection (ESPFI) Twin Cam 110 produces 115 ft. lbs. 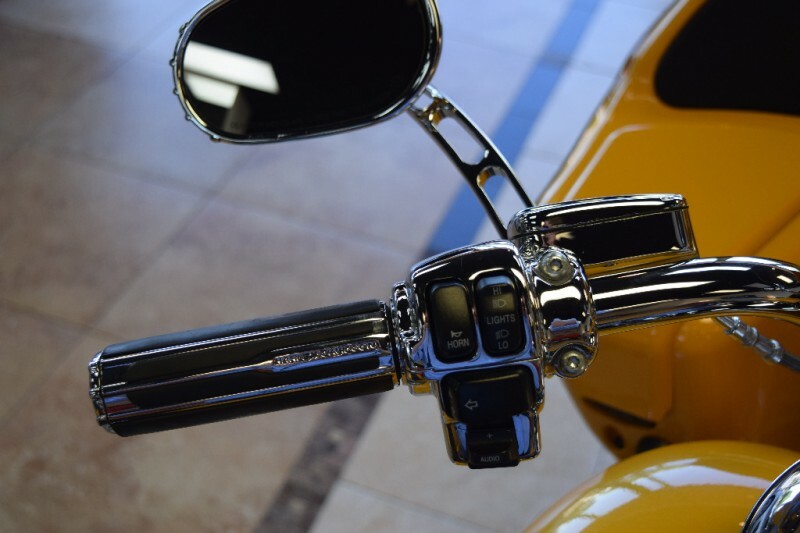 of torque at 4000 rpm and features electronic throttle control and a heavy-duty, self-adjusting clutch with hydraulic actuation. 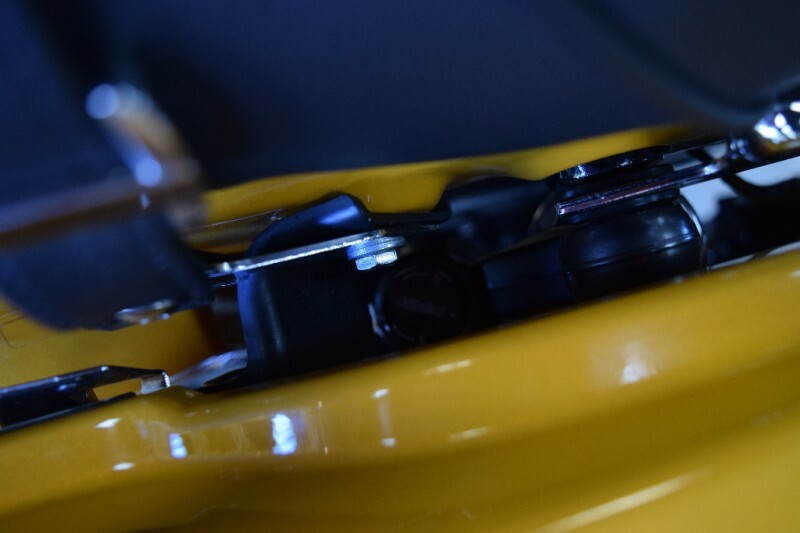 6-Speed Cruise Drive transmission. 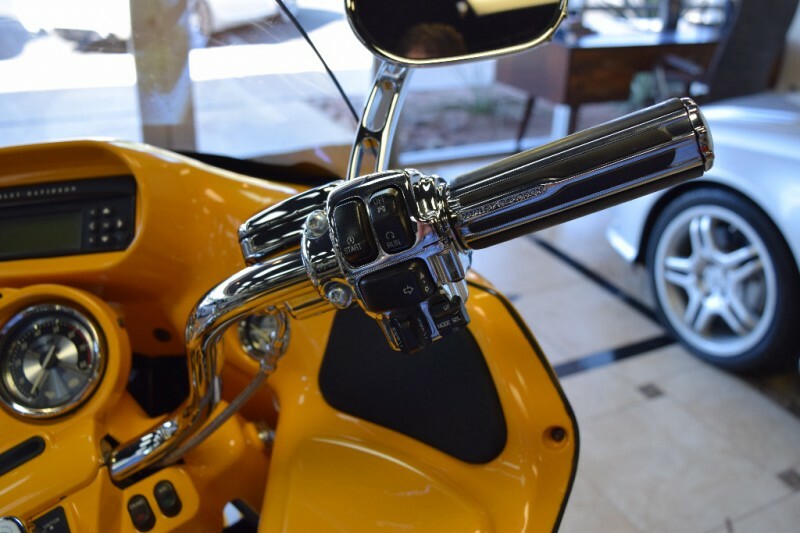 Come catch your ride !